Honestly said, I have the scan already very long time on my PC, was however never really able to make something nice out of it. I extracted Near (afterwards I realised that I had made that not completely correct) and colored it. After downloading the right fonts, I could add the text. Then there were the the plants and the blood to do, all with brushes of course. Actually, I wanted to make a very dark wallpaper, with much much black. But that turned out to be very boring and it had way too little light for my taste. So I decided to work with different tones of grey. 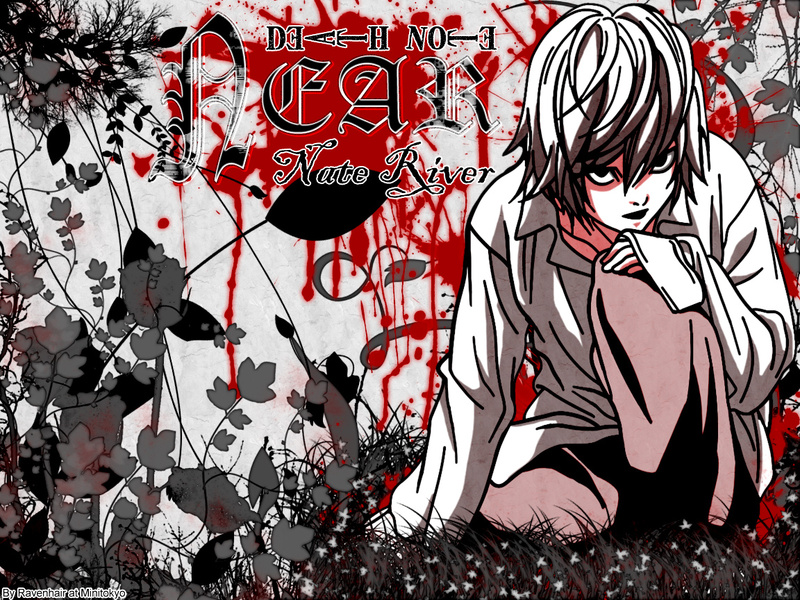 Red was added, because I think it's a great contrast and it fits Death Note quite good. its sooooooooo cooolll ! i like it very much. thanks for sharing . He isss sooo coool ^^. Thanks.